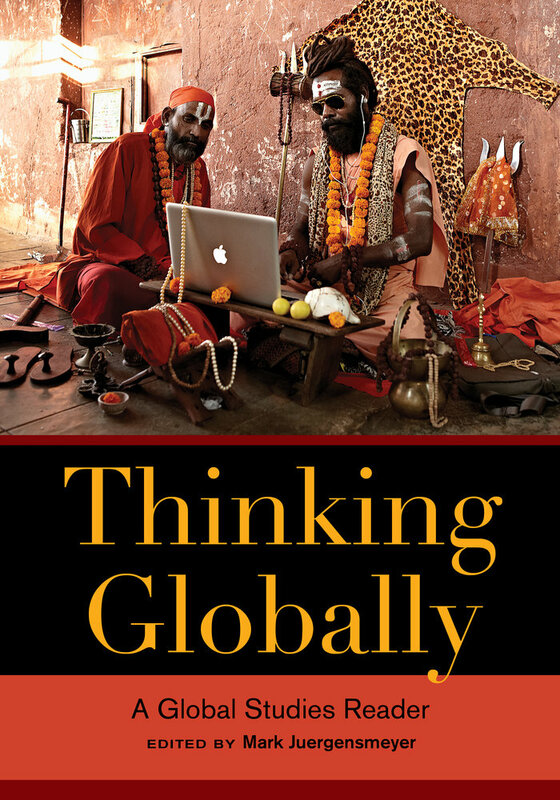 Thinking Globally is the perfect introduction to global studies for students, and an exceptional resource for anyone interested in learning more about this new area of study. Mark Juergensmeyer is Professor of Sociology and Global Studies and Director of the Orfalea Center for Global and International Studies at the University of California, Santa Barbara. A scholar and writer best known for his studies of religious violence and global religion, he has also written on conflict resolution and on South Asian religion and society. He has authored or edited over twenty books, including Global Rebellion: Religious Challenges to the Secular State and the UC Press best-seller Terror in the Mind of God: The Global Rise of Religious Violence. 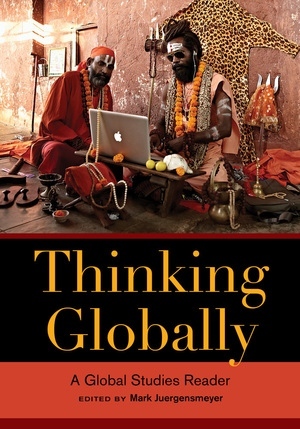 "Thinking Globally is the first textbook to give an effective overview of global studies as an intellectual field and emergent academic discipline. Juergensmeyer's work has the added virtue of giving a detailed account of global studies in all its complexity. "—Dr Peter Phipps, Global Studies, RMIT, Melbourne. What is globalization and how do we make sense of it? Globalization has a history—the current global era is prefaced by periods of economic interaction, social expansion, and intense cultural encounters. The impact of the slave trade and colonialization on Africa, influence of African culture on the Americas, and African aspects of the global rise of ethnic politics. The rise of global religious cultures from the Middle East, and current religious politics as part of a global challenge to secularism. The spread of Asian cultures from India and Central Asia via trade routes; the role of South Asia in global trade and information technology. The role of East Asia in global economic history, and the rise of new economies in China, Japan, and South Korea based on global trade. The emergence of Southeast Asia from colonial control; the rise of Australia, New Zealand and Pacific Islands on the edges of globalization. The role of Europe in creating the concept of the nation, transnational politics in the Soviet Union, and the rise of the European Union. The European conquest of the Americas, the rise of new societies, and varying patterns of economic development within a global context. Paradigms for thinking about the new world order (or disorder) in the post-Cold War global era. The fading strength of the nation-state and the rise of alternative conceptions of world order. Zygmunt Bauman, “After the Nation-State, What?” in Globalization: The Human Consequences. The religious challenge to the secular state in new conceptions of political order. Economic globalization-- its relation to national economies, the growth of transnational corporations, and the changing role of labor. Robert B. Reich, "Who is Us?" Changes in the concept of money and international financial markets. Competing views of development and the role of women in the global economy. Illegal traffic in people and drugs, and the global attempts to control them. The principal environmental and health problems that transcend national boundaries and global attempts to alleviate them. The role of new media—video, internet, social networking—on global culture and organization. Transnational networks supporting human rights and legal protection for all. The emerging sense of global citizenship, and nongovernmental organizations and movements comprising a new “global civil society”—is this the global future?